Live from VMworld Europe 2012, it´s yet another special video edition episode of vSoup! Sadly we can only offer the embedded lifestream feed for this talk, at least at the moment. If we can our hands on an actual working video file, we´ll get it added to the feed as a video podcast as well. For more background information, read Shanghai… we have a problem… on vNinja.net. Like last year, two thirds of the vSoup chefs are present at VMworld Europe. And, unfortunately Christian is still the odd one out, missing VMworld yet again. Anyway, on with the live recording which, by popular demand, features Ed Grigson who still blogs at vexperienced.co.uk. And yes, we know Christian was the silent minority here. After all, he´s in Norway. Ok, we lied. 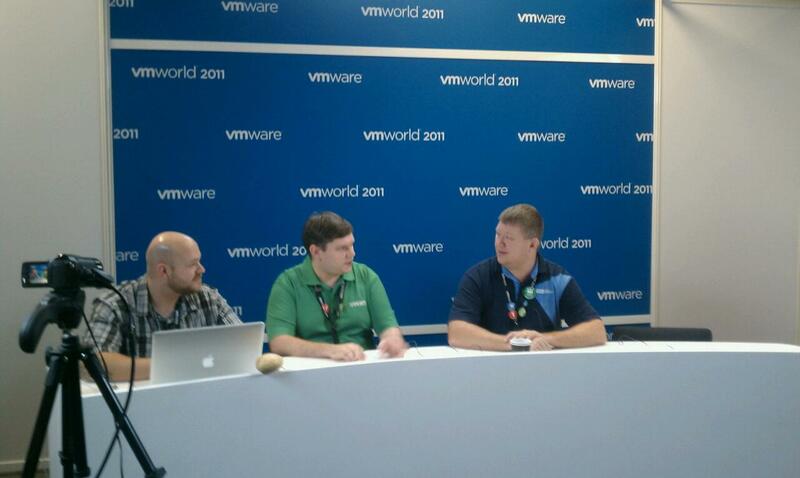 The first tvSoup was not the last, and here we are again with another live video recoding from VMworld Europe 2012. This time we kidnapped Jason Boche, just to keep him away from the Dutch vMaffia, and stuck a camera in his face. Of course, Jason delivers, as usual. We even nearly got Gregg Roberson on camera too, but somehow he managed to stay out of view laughing at us from a few Steps distance. So here it is, tvSoup #2 – Live from VMworld Europe 2011. Of course, the potato is still present.